Kodi, the popular media center software that was once known as the hugely popular XBMC, is now available to download on the new Apple TV 4. Unfortunately things aren’t quite as simple as that though, because while Apple has given the Apple TV its own tvOS App Store as part of the Apple TV 4’s software redesign, Kodi isn’t actually available from that particular channel. Instead, those wanting to give Kodi a try on their Apple TV 4 will need to go about sideloading it onto their device. But you probably knew that, right? The good news is that since Apple is officially allowing sideloading of apps on iOS and tvOS using Xcode 7, there’s no need for a jailbreak on Apple TV 4 to get apps like Kodi working on it. It is however important to note that at this point, the version of Kodi available for Apple TV is not quite ready for primetime yet. The version available to download is in its very early form. In fact, when announcing its availability, the term “pre-pre-pre-alpha” is used. So if you are not comfortable with that sort of thing, it’s probably better to wait for things to solidify a tad, but if you like new things as much as we do and are a fan of Kodi already, you can go ahead and install it right now! The good news is that while it’s a very early version and bugs are to be expected, even in this early version Kodi does support add-ons on Apple TV 4. To sideload Kodi on the new Apple TV, you can use DanTheMan827’s iOS App Signer utility. We have already done a tutorial on how to use it to get Kodi on iOS without jailbreak. 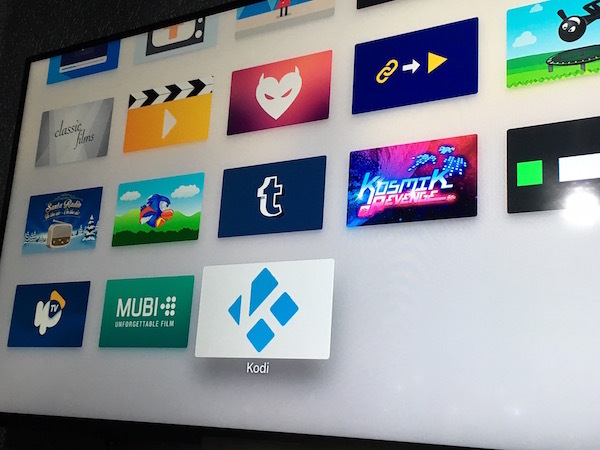 You can follow the same instructions for Apple TV, using .deb file of Kodi for tvOS and starting with tvOS application instead of iOS in Xcode to get this build of Kodi onto your Apple TV: How To Sideload Kodi On iOS Without Jailbreak [Tutorial]. We’ll have a separate tutorial for Apple TV soon though. Stay tuned for that. There are of course some alternatives to Kodi if you want to go the App Store route, with Plex, Infuse 4 and MrMC (a fork of Kodi) already available. They are all great in their own ways, but if you have your heart set on Kodi and the enhanced functionality that it brings with its third-party add-ons, then you at least now have a way of getting the app onto your new Apple TV 4. You can download Kodi for tvOS .deb file from here. Update x1: We now have a full tutorial up for it now. 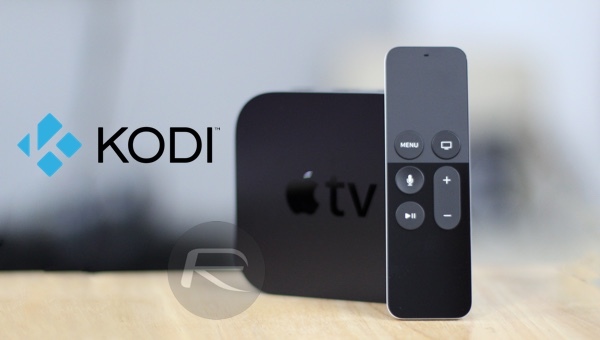 You can follow it here: How To Sideload / Install Kodi On Apple TV 4. That’s just great! Now I have a $5 dollar app (MrMC) for no reason cause I was lead to believe it is an extension of Kodi and I would be able to side load 3rd party extensions..boy did I interpret that wrong! So… Why would anyone want MrMC if that’s not possible? Seems to me they are the same (paid & free version) ..Who can Explain the difference?